Most guests spend approximately 4-9 hours at the park. Splash into fun as you head out to Dollywood's Splash Country Water Park, the best place in the Smokies to cool off on a warm day. 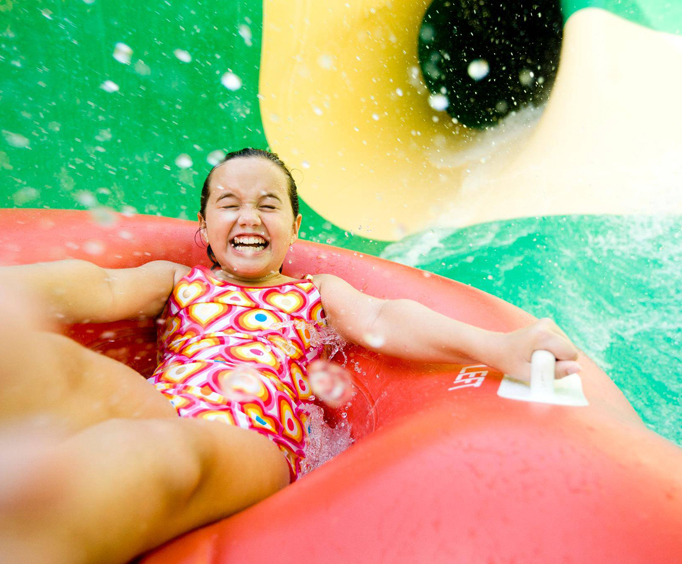 Dollywood's Splash Country Water Park offers all the fun of Dollywood, but with water. There are tons of rides ranging from wild to mild. 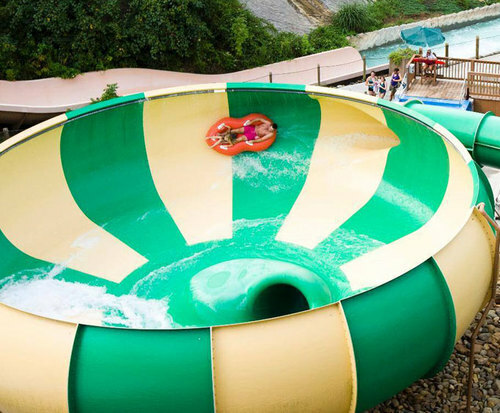 The rides include a multitude of slides that will have you whooshing into the water, a white-water tubing ride, and a terrific children's area where even the adults can have fun. Enjoy one of the newest rides that combines the fun of water with a roller-coaster, or float like a butterfly into the Butterfly Pool. Splash Country not only has rides and slides, the park is filled with plenty of places to sit and relax or to get a meal. Are wheelchairs and strollers available at Dollywood's Splash Country Waterpark?If so, is there a rental fee? Wheelchairs are $12 per day. Strollers are $13 for a single; $16 for a double on first come first serve basis. Dining options, shops, ATMs, and more. Yes. Standard parking is $15. 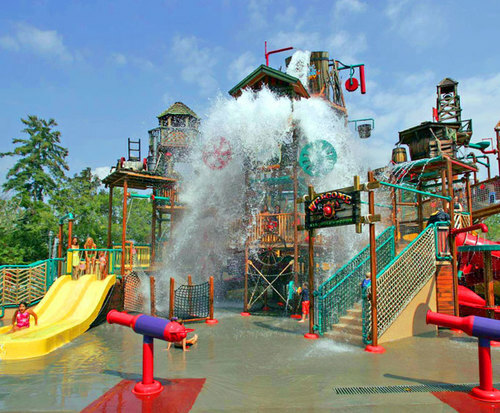 Are lockers available at Dollywood's Splash Country Waterpark? If so, is there a fee? Are tubes available at Dollywood's Splash Country Waterpark? If so, is there a fee? Yes, and there is no fee. Are alcoholic beverages served at Dollywood's Splash Country Waterpark? Is smoking allowed inside Dollywood's Splash Country Waterpark? Only in designated smoking stations. Please Note: This item must be purchased with lodging. "great place to take the family!" Splash country is a great place to take the family! "enjoyed it more than the kids!" My family and i really enjoyed this trip. My husband enjoyed it more than the kids! "action packed and very kid friendly!!" Absolutely great family fun, action packed and very kid friendly!! We had a blast!!!! So many things to do. Best waterpark we jave been to we loved it. Nice and clean.